Location: In bay, S of Industrial and Maratime Museum, approximately 60 metres from sea wall. One of two late C19 signal platforms of former steam packet harbour. This northern platform on wooden piles, cross-braced, with angles reinforced with metal plates, depth scale, ladder up to decking with iron bollards and railings. Two railway-type signals on lattice girder posts with ladders. 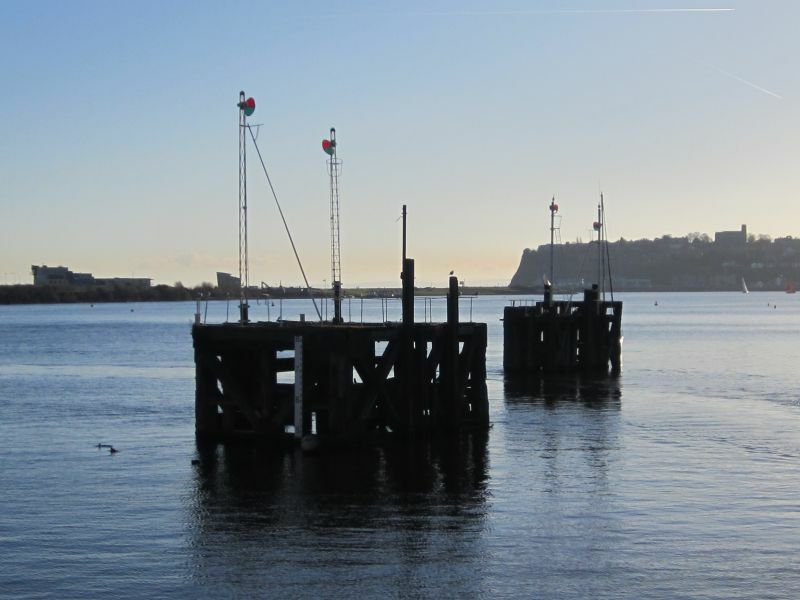 Originally a floating landing stage to the rear of this platform was connected to the quayside by a pivoting bridge, which ran between the wooden dolphins closer to the shore. Listed as distinctive maritime structure in bay. Group value. II Scott's Brasserie (Former Pilotage Office). Detached to NE of the Graving Docks and immediately to left of The Big Windsor PH.